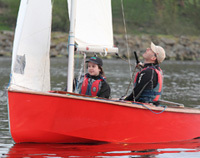 If you’re a new member to Burwain & new to sailing, it may be a little daunting on how to get the most from your club; start sailing regularly, develop your skills or purchase your first boat. That is why On Sunday 14th we are arranging an Open Day focussed on helping new members to get more from their membership and club. 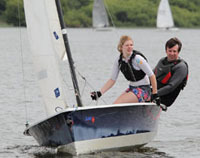 help you sail different styles of boat – single hander or help you either helm or crew with you in a two man boat. 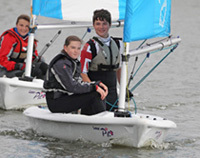 junior races may also be held for younger members. This day will be a perfect chance to meet other new members just like you and also some of our more experienced members too. The day is designed to help you feel more comfortable joining in with some of the club racing and social events to come, in the rest of the year.